Vacations, paid time off, and even unpaid time off are benefits given to employees – but over 33% of workers don’t take advantage of it. While there are many reasons why 169 million vacation days are unused, studies have shown that there is a distinct advantage to companies when their workforce actually uses their vacation time. This 8-minute “mini” webinar discusses some common reasons for unused vacation days, but (more importantly) argues that employers who encourage their workers to take time away from work achieve some significant bottom line results in their overall performance. By the way: the latest trend is for companies to offer unlimited (or unmonitored) vacation days to their workers. Maybe it’s time to take that long overdue vacation! Change is a natural part of life. In fact, many believe that change has become the new status quo. But changing is rarely easy for the people who have to modify – sometimes radically – the way that they do things, their self-image, or even their goals. In organizational change, the underlying reason is usually in response to shifts in the external environment. The examples are seemingly endless: A new competitor has entered the marketplace and “stolen” some of your customers. Or perhaps a new law has drastically challenged your current payroll strategy. 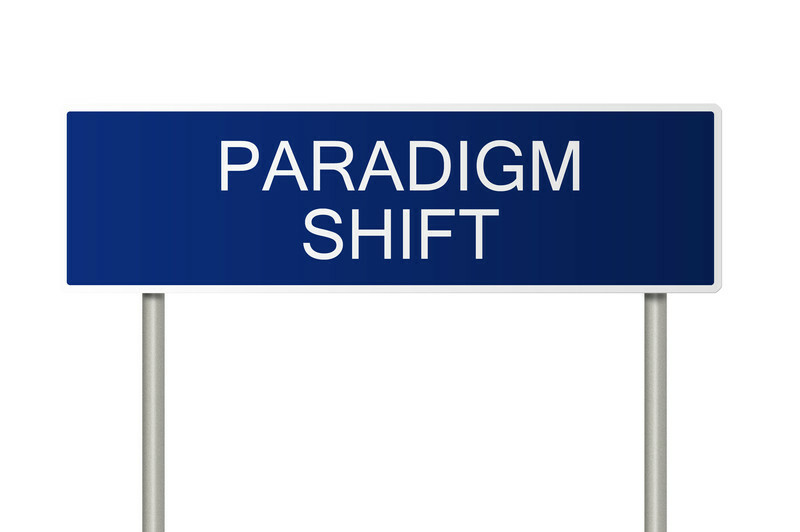 Organizational change can also be in response to internal shifts, such as a new vision, business model, or target market. But, whether the reason for the change is external or internal, the arguments made in support of the change are usually based on what the company “should” do – whether they want to or not. And therein lies the rub: organizations can only change when its people change. When demands are made for people to change their normal behaviors or habits, there is an understandable pushback. What is often overlooked is that this so-called “change resistance” can provide valuable insights into the nature of the change initiative. But these insights can only occur if we actively solicit employee feedback before, during, and after the change. Unfortunately, in most change initiatives, many of these change resistors are ostracized or transitioned out of the organization. As human beings, initial resistance is somewhat of a hardwired response to change. Just like the 3-year-old who crosses his arms and shouts “No!” when it’s time to go to bed, the logical arguments (or why sleep is necessary in order to avoid crankiness and unhappiness) usually fall on deaf ears. In other words, although we know that the child should go to bed, he doesn’t want to go to bed. Even though he might be forced to go to bed, it is a time-consuming, emotionally draining ordeal for both parent and child. The same can be true of employees who are told what they should do as a part of the change initiative…but really don’t want to do. Addressing what we should do as well as what we want to do should be an important consideration in any change initiative. Corporate leaders often have very logical, reasonable, and comprehensive reasons to change the long-term strategy or daily operations of their organizations. They often argue their case via spreadsheets, pie charts, bar graphs, trend charts, and any other data-driven tool that can support the rational reasons underlying the need to change. While analysis is a critical part of the planning stage of any change initiative, the role of the change manager cannot rely on pure analysis to motivate workers to change. Organizational change is a major undertaking that can take years to fully incorporate into the existing culture – and can be emotionally draining for the entire workforce. Although threats of what could happen if the organization doesn’t change can initially inspire fear-based change, people don’t like to live their lives in fear. The “doom and gloom” prophecies that threaten workers’ sense of security—either now or in the future – will often result in key employees and high achievers “jumping ship” to an employment situation that is less frightening. To sustain the long-term motivation necessary to change an organization, the focus needs to shift from managing employees to change by telling them what they must do. Instead, change leaders need to inspire employees and seek their participation in determining the best way to create the change as painlessly and effectively as possible. The logical “should” of a change initiative is only one part of the change equation because intellectual arguments are insufficient to inspire workers to put forth the additional effort needed to transform the workplace. People need to be motivated to change – and motivation is not only inherently internal, it is also emotional. Addressing this “want to do” part of the change equation requires tapping into WIIFM: “What’s In It For Me?” Unless employees are confident that there will be a benefit to them as a result of the change, it is doubtful that they will commit wholeheartedly to the necessary actions that will radically transform the organization. In contrast, employees will often “go the extra mile” when they understand the value of the change initiative AND they have participated in the planning and implementation activities related to that initiative. When people participate in identifying what needs to change, they are more likely to embrace the necessary activities that will create that change. After all, if it’s something that I recommended, then I have a vested interest in ensuring that it will lead to the desired outcome. Take the time to involve employees in the planning stages of the change initiative. Be sure that they represent the various functional areas of the organization and come from different levels within the organizational hierarchy. Not only will this assist with employee buy-in, but it will also generate some insights into the implementation plan that can easily be overlooked by senior leaders who are not intimately involved with daily operations. Treat employees like adults, not children. Relying solely on the “shoulds” of a change initiative is the equivalent of a parent dictating actions “because they said so.” Pushback is inevitable. Instead, recognize that your employees are your only non-duplicatable competitive advantage and they were hired because they have expertise to perform their jobs well. Tap into that knowledge by respecting their input and concerns. Schedule two-way conversations that address employee needs and fears associated with the change. Announcing the change via a lecture by the CEO or an article in the newsletter typify one-way communication. Such messages to change can easily be interpreted as being talked at rather than talking with. But two-way conversations in live town hall meetings or even discussion boards in a special change-related online chat room enable better identification of the workforce’s WIIFM’s – which can then be used to modify, expand, remove, or add programs to the change initiative that will better encourage workers to want to do what is necessary to create the necessary changes. Although these three suggestions take time, they can create the foundation for tremendous future benefits in efficiency and effectiveness during the implementation phase. Employee pushback and resistance may still occur, but, through the use of participative management in the planning phase, it tends to be much less intense. While the decision to change might be logical, the act of changing can be highly emotional. Some changes we should do, but we won’t actually do what is necessary unless we want to do it. In today’s fast-paced, chaotic world, we’ve developed a strong tendency to “go for the gold” in everything that we do. While excellence is a worthwhile goal, I’ve come to believe that we can’t necessarily be “the best” at everything that we do. The problem is that we apologize for our perceived lack of “perfection” and forget to relish those things that we actually do well. Another problem is that there are only 24 hours in a day – and we have to sleep at least some of those hours. But few of us get the recommended 7-8 hours of sleep per night, so our energy falters even though we insist on continuing to do “everything.” The result is higher stress and an even more insurmountable “to do” list. Delving into a sociological and psychological study into this problem is far beyond the scope of this article. However, creating a new way to work requires that we prioritize what’s important to us. When everything is important, then nothing is really important. The simple truth (albeit a hard one for many of us to accept) is that we can’t “do it all.” But we can do the important things well. These important things represent our true priorities. “Doing it all” inherently draws us off course as we attempt to also do the unimportant things in our lives. “Unimportant,” however, doesn’t mean “unnecessary.” Unimportant tasks are those activities that might need to be done – but don’t necessarily have to be done by us. Therein lies the challenge: when we admit that a task that we have traditionally accomplished can be done by someone else, it often causes our ego to question our “value.” Nowhere is this more evident than in the workplace. Managers who believe that they have to “do it all” are micromanagers that are rarely appreciated (or respected) by their subordinates. Employees who try to “do it all” generally tend to miss deadlines because their focus is shifted to the unimportant, lower priority tasks. Trying to “do it all” simultaneously at work and at home is a recipe for job dissatisfaction, relationship problems, and burnout. But admitting that I can’t do it all was and, to a certain extent, continues to be a challenge. The problem is that trying to do it all leads to feelings of being overwhelmed. Failing in our attempts to do it all leads to frustration and a diminished sense of self-worth. Yet we continue in our misguided efforts to go beyond our very human limitations. The cure for trying to “do it all” is to prioritize what’s important to us – and then have the courage to focus our efforts on these important activities. It means being able to say “no.” It also means being sufficiently confident of our own unique value so that we can feel comfortable delegating the unimportant but necessary tasks to others. Accepting that not only we personally but also everyone else CAN’T “do it all” changes our perspectives of what is important, what is feasible, and what is just additional “stuff” that has little if any true importance. As corporate leaders, managers, and employees, this new perspective can radically change the work environment and reduce burnout. Understanding that we can’t “do it all” might be the first step in creating a new, more productive, and more enjoyable way to work. This 7-minute “mini” webinar discusses why change and transition are not the same and how you can take the first steps to minimize your feelings of change-related chaos. Have We Forgotten How to “Play Nice” at Work? When we were children, we were always admonished to “play nice.” In other words, we should share our toys, be nice to other people, and help our friends. In this way, we could enjoy our time together – and maybe even learn some valuable lessons about human behavior. As adults, the equivalent to “playing nice” with playmates is to be respectful and helpful to our coworkers. We should share our resources, respect our differences, and assist our colleagues when they run behind schedule or need a hand. Like when we were children, we expect that there will be reciprocity: if I “play nice” with you, then you will “play nice” with me. While childhood was a much simpler time, these life lessons still ring true in the modern workplace. However, I often wonder if we’ve really learned how to apply these childhood lessons of “playing nice.” I have to ask: have we forgotten how to “play nice” at work? “Playing Nice” Is Inherently Reciprocal…or Is It? Just like no man is an island, no employee works alone. We need to work with others in order to get the job done. 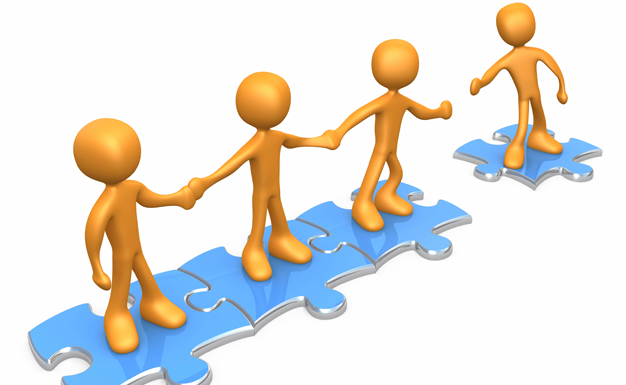 Ideally, teamwork enables us to get things done as the result of synergies arising from applying our individual KSAs (knowledge, skills, and abilities) to the task at hand. The whole of our efforts, therefore, is much greater than the sum of our individual parts. By helping one another, no one is overburdened or stressed out. The ability to effectively work in teams also reflects (to a large degree) our mastery of interpersonal communication skills. The logic is that teams understand how to communicate, embrace differences, and share a single-minded focus on an ultimate, unifying goal. By being on “the same page,” conflict is reduced or averted. However, problems occur when some team members “play nice,”…but others don’t. When this occurs, there are inevitable feelings of hurt, anger, and betrayal – feelings that ultimately affect organizational productivity and performance. Stanley is an extroverted, dedicated employee who makes the time to lend a helping hand to his colleagues. During his 360° performance review, he is shocked to learn that his coworkers said that he was difficult to work with and actually prevented them from doing their own work. Samantha is a highly creative employee to whom colleagues frequently turn when “stuck” on problems that require outside the box thinking. As a key partner in the development of a new program, she is startled to discover that her coworkers “forgot” to mention her as a crucial part of the development team when they were interviewed for an article. Stanley chose to become more “cool” or aloof in his interactions with the coworkers who he believed “threw him under the bus” – a behavior that is incongruent with what he believes is required to have a productive workplace. In both instances, the employees were surprised by the action or inaction of their team members. According to them, they had “no warning” that anything was wrong with their relationships. They felt confused, angry, and betrayed. They also believed that the best way to respond was to change their behaviors in order to better navigate the politics within their workplaces. But perhaps more importantly, both workers changed their perceptions about the nature of their work environments. In fact, both are considering leaving their companies. Even though a worker believes in sharing resources, respecting differences, and lending a hand, it is impossible to “play nice” in a vacuum. A workplace in which all employees “play nice” requires a culture of trust. To “play nice” in a corporate culture where workers don’t believe that their colleagues consider others’ best interests would be masochistic. Adults will never “play nice” when “playing nice” ultimately hurts them professionally and emotionally. If you want employees to “play nice” at work, then you need to establish an organizational foundation built on respect, transparency, leadership, support, and empathy. Recruitment, selection, retention, performance appraisals, and development practices should be based upon and incorporate these fundamental values. Corporate managers and senior leaders must also be appraised on whether their actions support or undermine a culture of trust. “Playing nice” does not mean that there will be no disagreements between employees – accept that they are inevitable. Remember: it’s not the number of disagreements that indicates whether trust exists in an organization; rather it’s how you as a manager and/or an employee respond to conflict that reveals whether the culture is trusting or distrustful. “Playing nice” is not an admonishment that should be given solely to children. Given today’s chaotic, high stress workplaces, it may be the only way to achieve the natural synergies, enthusiasm, and innovation that result from people trusting each other. Job burnout is reaching epidemic proportions – but the fatigue associated with burnout is not cured by having a good night’s rest. According to my findings in the B-DOC Model, the vast majority of people leave their current stress-producing work situation in an attempt to find a less toxic work environment. Is your stress at work bad enough that you are considering leaving your current employer? It’s a difficult decision. This 7-minute “mini” webinar introduces 3 fundamental questions to help you decide whether you should stay…or whether you should go. The choice of where you work is ultimately yours. I urge you to explore these 3 questions in depth in order to make the best decision for you.